A 9ct yellow gold ring adorned with three oval sapphires, each framed by sparkling diamonds. Feminine elegance with a striking edge. 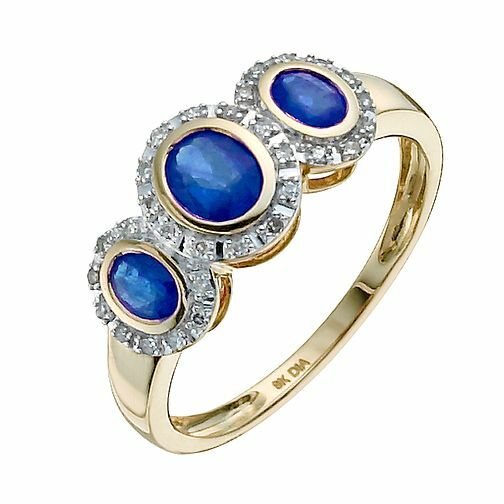 9ct yellow gold oval sapphire & diamond three stone ring is rated 4.0 out of 5 by 1. Rated 4 out of 5 by Anonymous from Beautiful It's a beautiful ring but very thin so I am going to get my local jeweller to build up the band otherwise it will probably brwak relatively soon.